DRAW PREVIEW: Four club competitions and in total eight rounds will be drawn during a marathon-like draw on Tuesday. The whole event will be streamed live on youtube and facebook. Exactly 103 pairings in the upcoming 2017/18 European Cups season will be determined during the biggest draw event of the season. After the clubs in the European top flights the VELUX EHF Champions League and the Women’s EHF Champions League learnt their fate already end of June now it is turn for almost all other clubs who decided to set out for a European campaign this season. Only 18 clubs directly seeded for the EHF Cup Qualification Round 3 (14 in the men’s and four in the women’s competition) will have to wait for their first opponents this season until the second round is finished in October. The rest of the 2017/18 European Cups scene will be able to start organising their first round trips already on Tuesday noon. 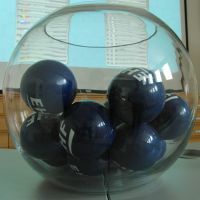 The traditional summer “marathon” of a draw will start at 11:00 hrs local time at the EHF Office in Vienna and the club competitions will be preceded by the first part of the EHF Men’s 18 and 20 Championship draw which will decide which pools will be organised by which organisers. The whole event will be streamed live on the ehfTV youtube channel and the EHF’s Facebook page, while the live ticker on eurohandball.com and live tweeting on @ehf_live will also be available. Only four clubs have to start already in Round 2, what will be the first playing round in the competition. 30 more clubs including the defending winners HC Lokomotiva Zagreb will join the two winners in Round 3. The last season’s runners-up H 65 Höör, who claimed the Challenge Cup trophy back in 2014, have entered the Women’s EHF Champions League qualification as the reigning Swedish champions this season. Read more about the seeding here. The winners of this competition celebrated the championship trophy in the domestic league last season as Sporting CP claimed the Portuguese throne and will be playing in the VELUX EHF Champions League Qualification. While 16 teams will start already in Round 2, 24 will follow them in Round 3 and the last season’s runners-up AHC Potaissa Turda will be among them. Only one semi-finalist will be back in the second edition of the new EHF Cup, which has merged with the Cup Winners’ Cup before the previous season. While TusSies Metzingen are seeded for the Qualification Round 2, the all three remaining 2016/17 semi-finalists will be in the Champions League action this time around. The first and second qualification round of the Men’s EHF Cup will conclude the draw, but the defending champions Frisch Auf Göppingen will not be part of it. They are directly seeded for the last qualification round before the group phase together with other three participants of the LIQUI MOLY EHF Cup Finals 2017 – Füchse Berlin, SC Magdeburg and Saint-Raphael Var Handball. The morning draw session of the European club competitions will be followed by the second part of the Men’s 18&20 Championships and the Qualification Phase 1 of the Men’s World Championship 2019 at 15:00 hrs local time.